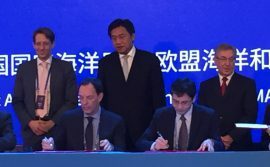 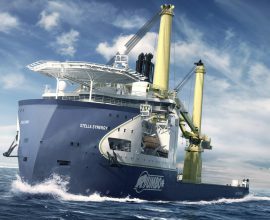 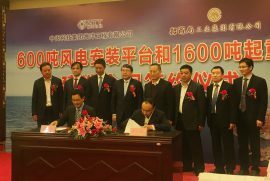 On 8 December, Jumbo signed a Letter of Intent (LOI) with China Merchants Industry Holdings (CMIH) for the provision of detailed engineering and construction of a new DP2 Heavy Lift Crane Vessel (HLCV). 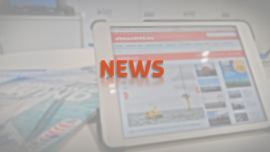 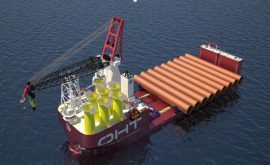 The new vessel – capable of installing wind turbine foundations and floating structures in deeper waters – is expected to be delivered in the first quarter of 2020. 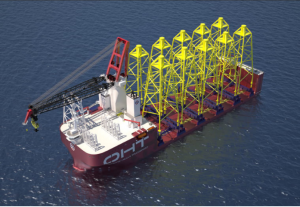 China Merchants Heavy Industry will start building OOS Energy’s two newly designed jack-up vessels later this year. 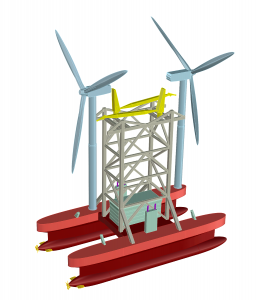 The new multi-activity units (MAUs) will be capable of handling offshore wind installation and oil & gas decommissioning operations. 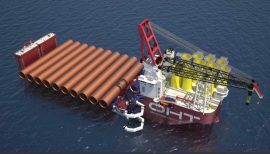 China Merchants Heavy Industry started building OOS International’s new semi-submersible crane vessel (SSCV) OOS Walcheren on 24 May at its Jiangsu yard, while the first of the two ordered SSCVs, OOS Serooskerke, is already under construction in Haimen and due for delivery in mid-2019.